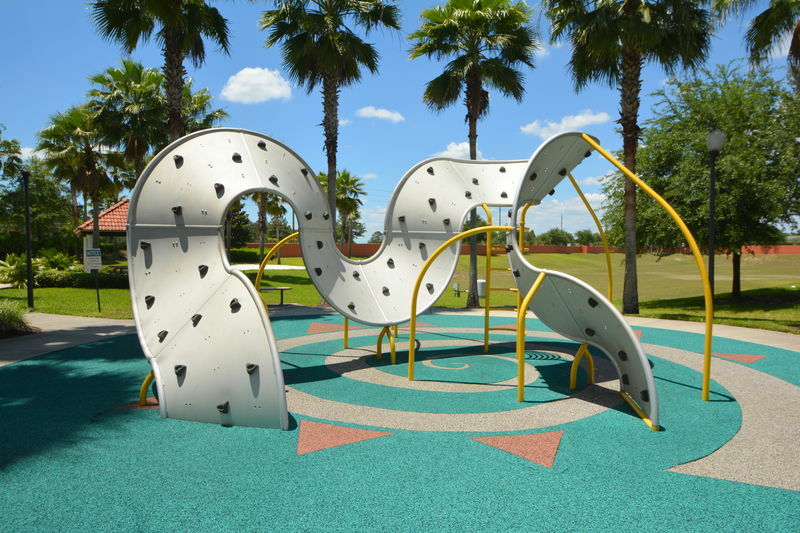 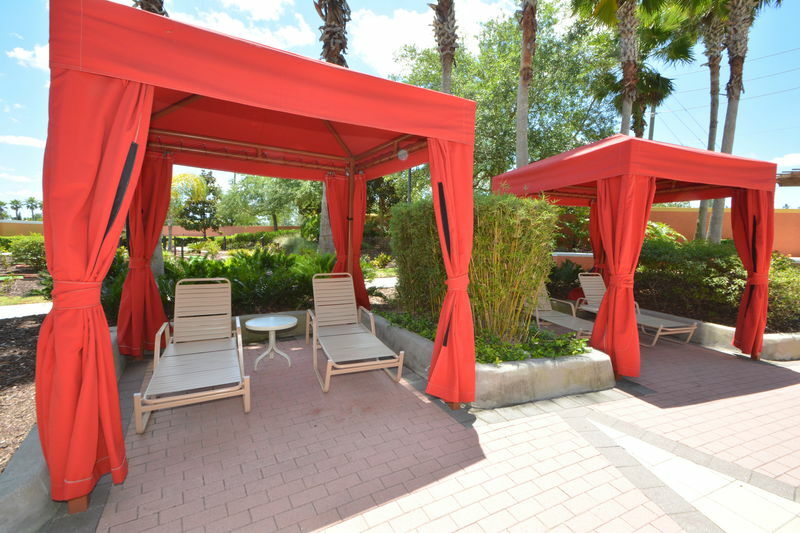 The Solana development is one of the nicest in the Disney area and has a whole host of onsite facilities for guests’ enjoyment, such as fitness center, game arcade, tiki bar, crazy golf course, communal swimming pool and jacuzzi as well as beach volleyball court. 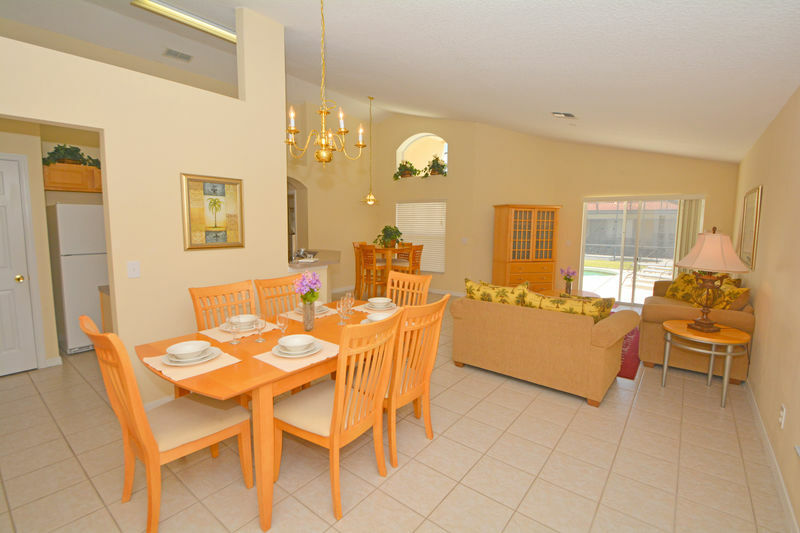 This is a pretty, one level villa that is bright and spacious and is tastefully decorated and furnished. 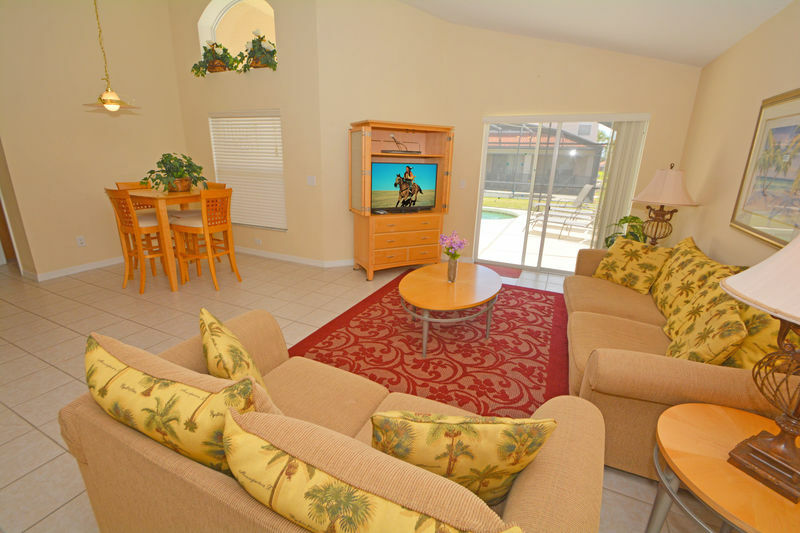 There are 4 bedrooms, 3 bathrooms, a games room and a fully screened in pool and large sunbathing deck. 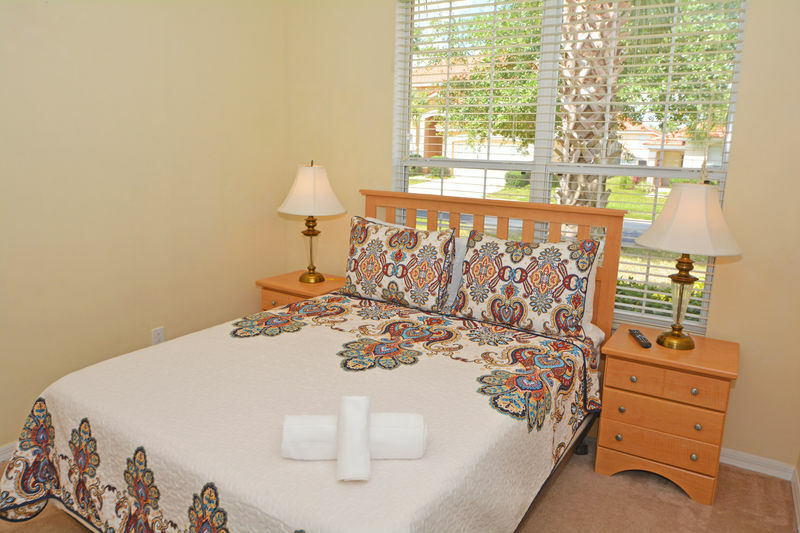 The first master bedroom has a king size bed, double closet, wall mounted flatscreen and en-suite bathroom with bath/shower, basin and WC. 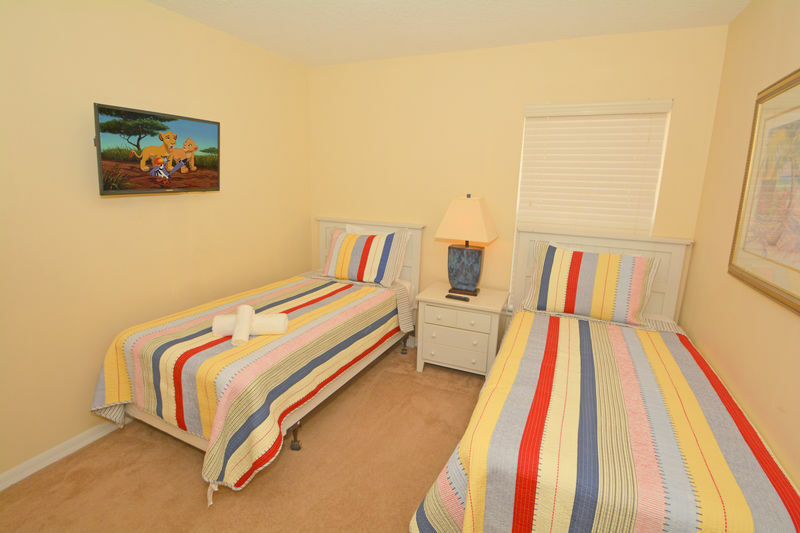 Master bedroom two has a king size bed, wall mounted flatscreen, walk in closet, double sliding doors to pool area and en-suite bathroom with shower, basin, WC and a further door to pool. 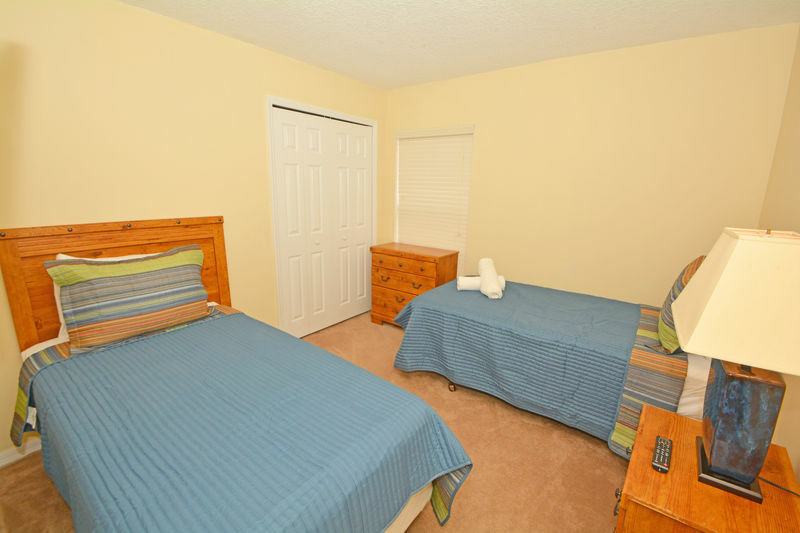 Two further twin bedded rooms with wall mounted flatscreen and double closet. 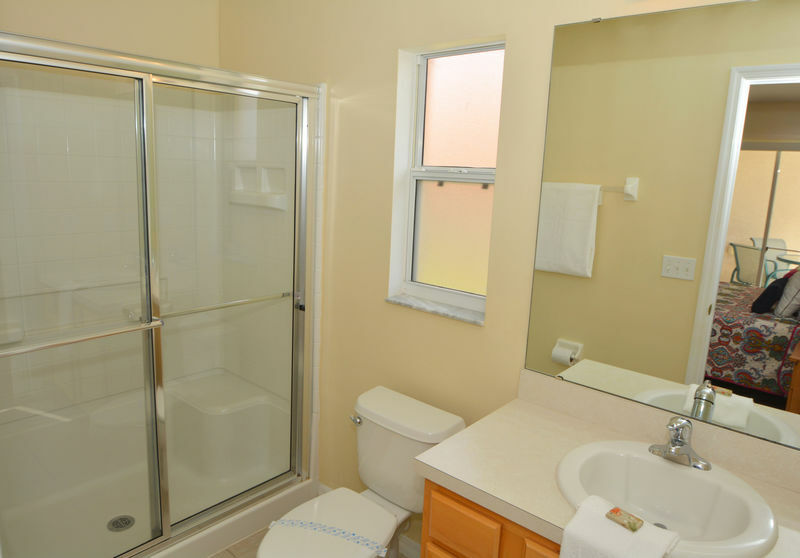 Family bathroom with bath/shower, basin and WC. 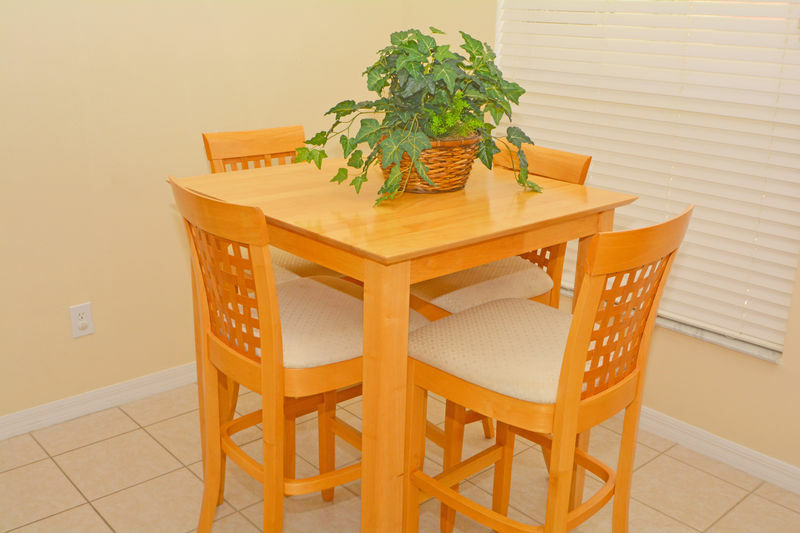 The main area of the house is open plan with a dining table seating 6, family seating area with loveseat and 3 seater sofa, flatscreen TV, DVD player, patio doors to the pool area and another hightop breakfast table seating 4. 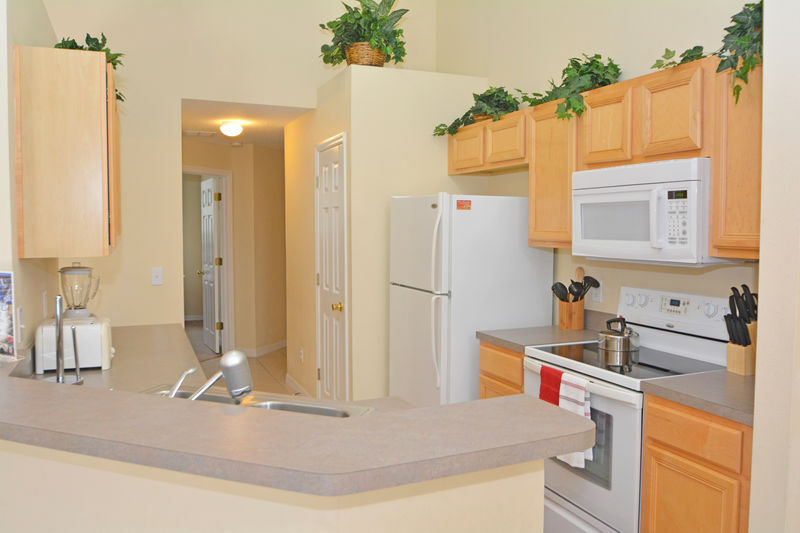 The kitchen is fully equipped for catering indoors and has an electric oven/hob, microwave, dishwasher, double sink and large American style fridge/freezer. 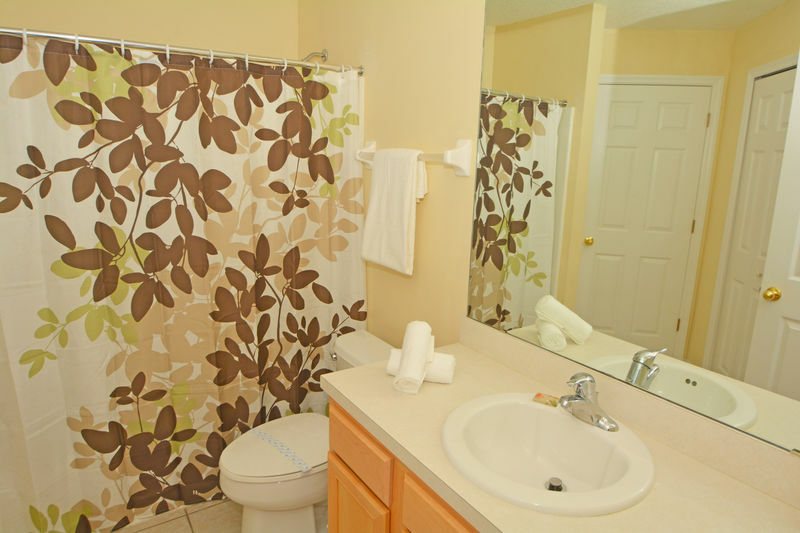 Utility room with washer and dryer. 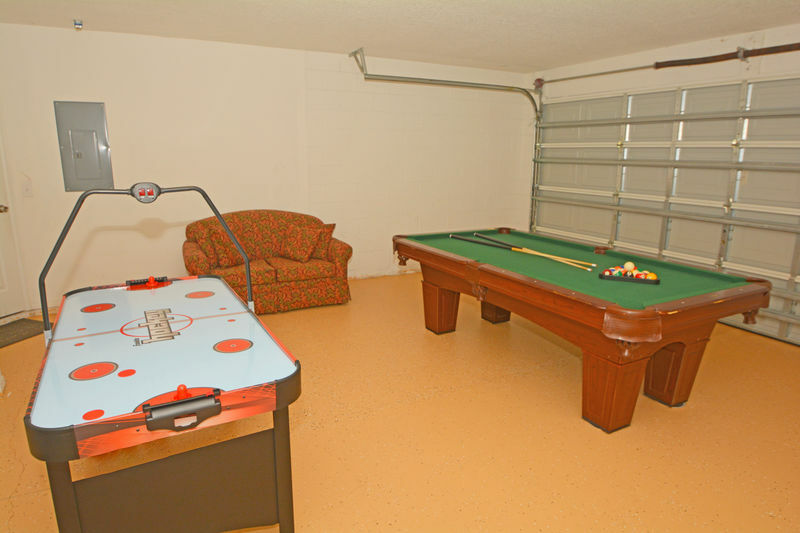 The garage has been converted to a games room with pool table, air hockey and small sofa. 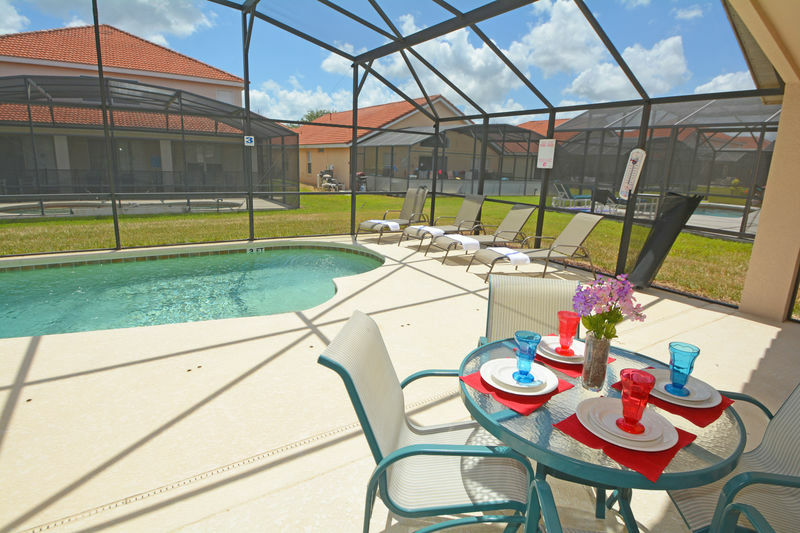 Outside there is a larger than average pool with good sized patio deck, table seating 4 and 4 sun loungers. 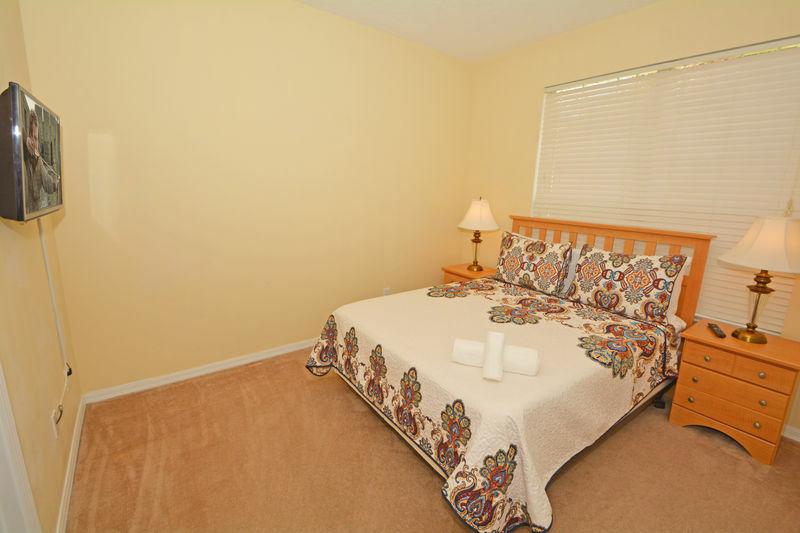 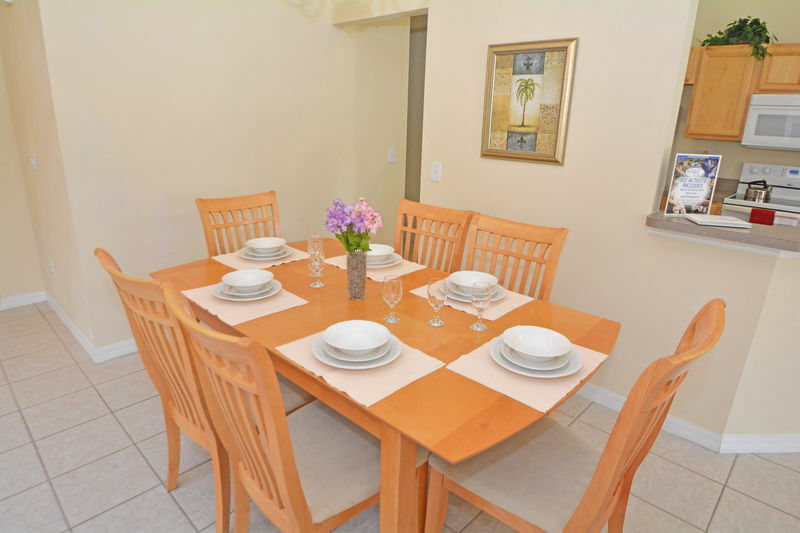 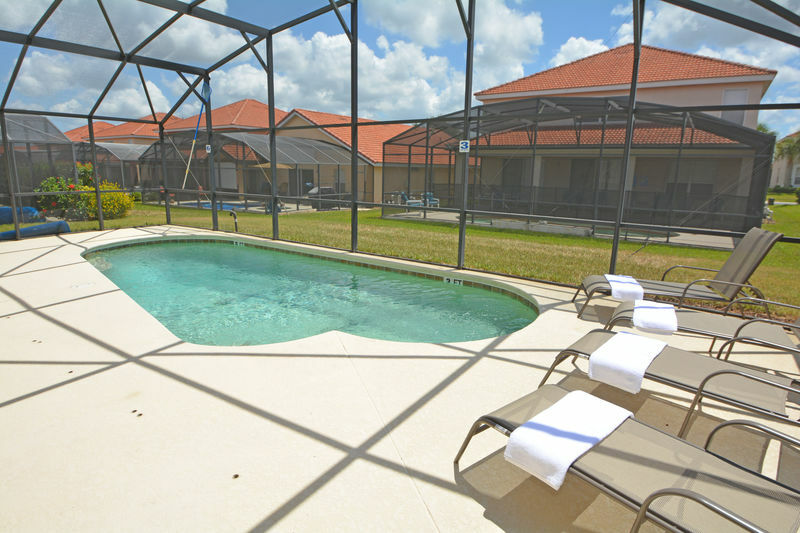 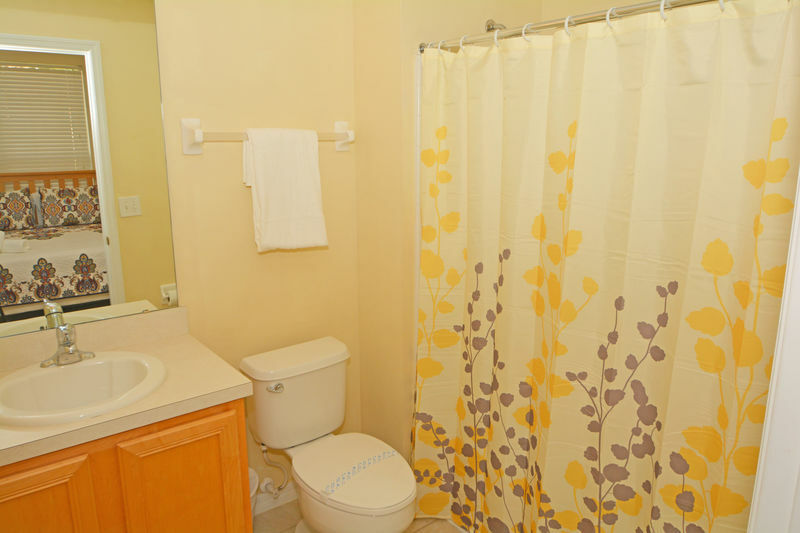 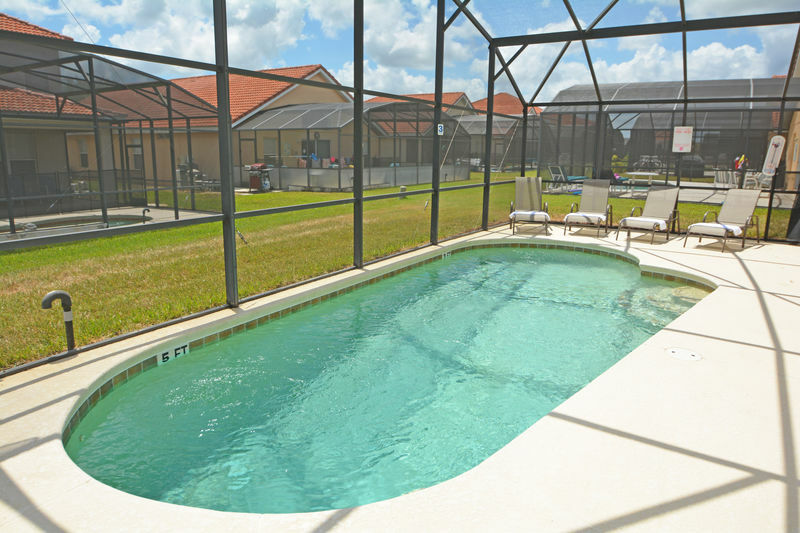 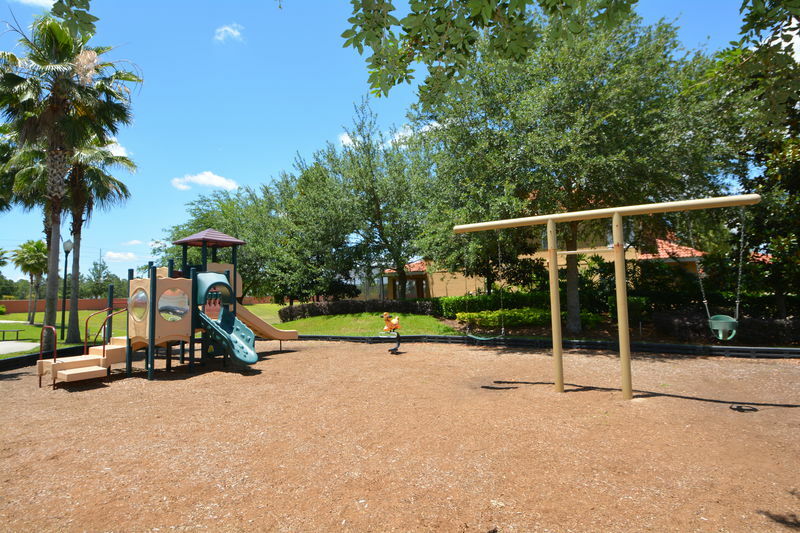 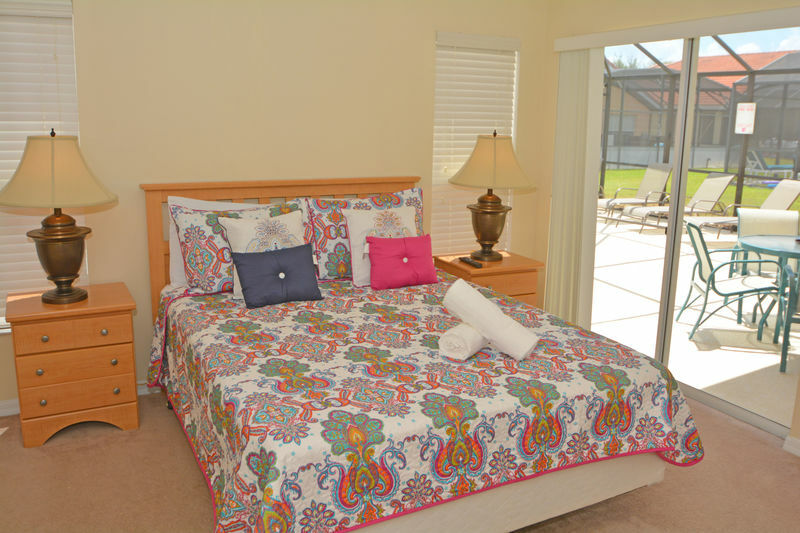 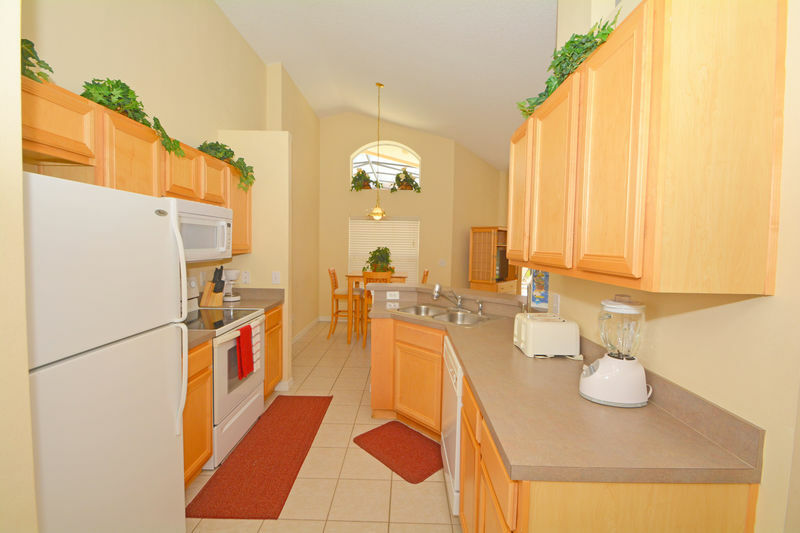 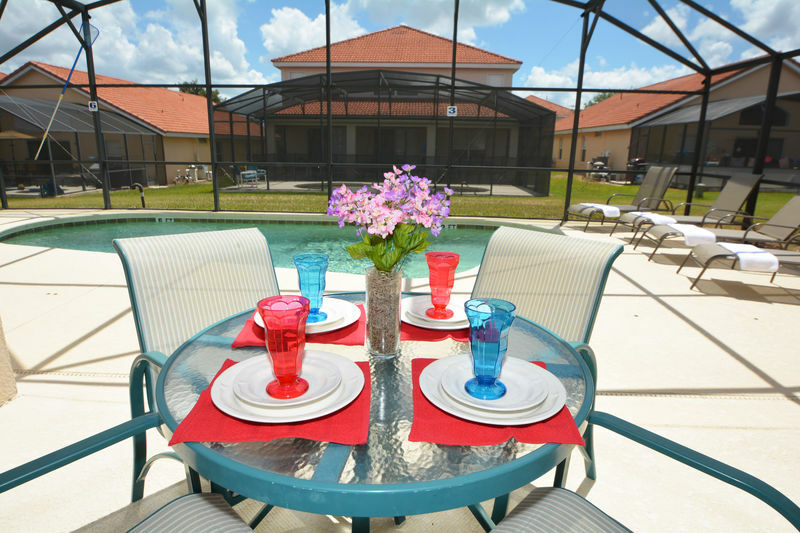 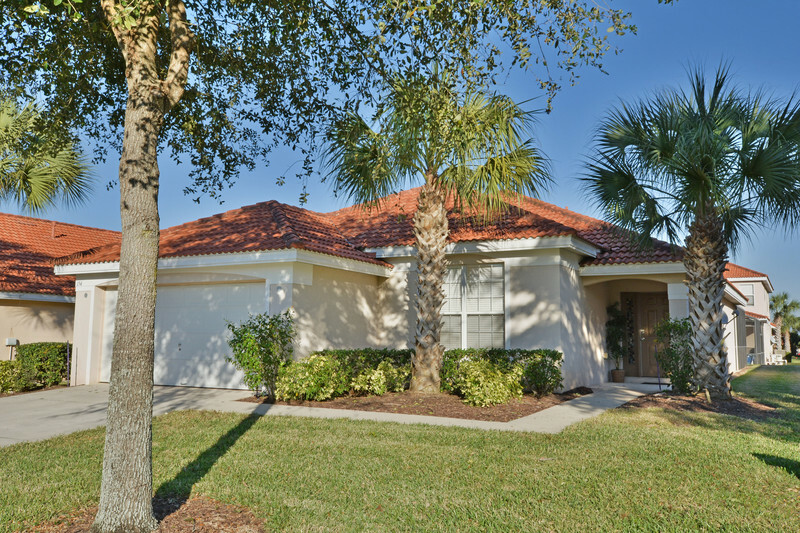 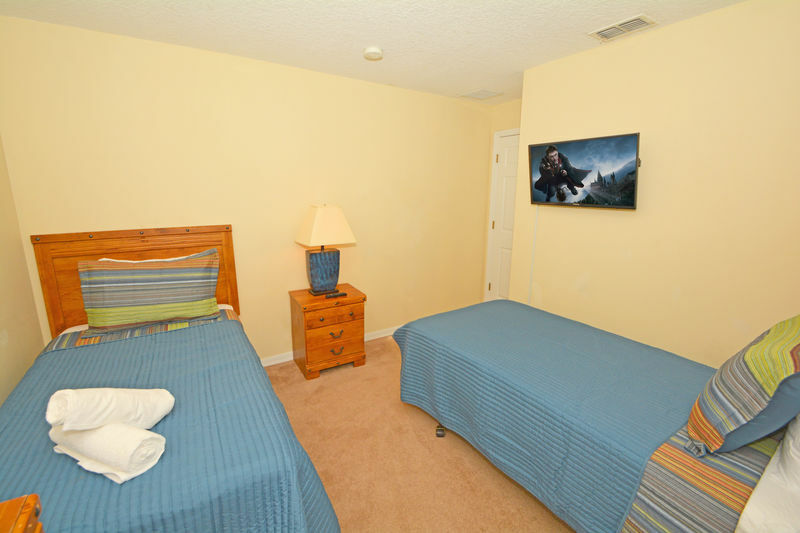 The property comes with free WIFI and is only 15 minutes from the Disney attractions.